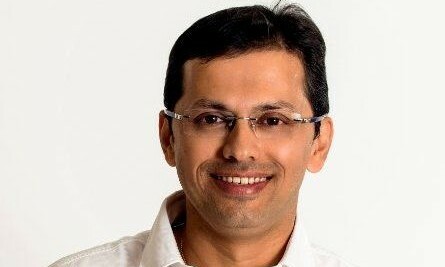 Rahul Welde, VP of media at Unilever in Asia, Africa, Middle East, Turkey and Russia is moving to London as global VP, Digital Transformation. In his new role he will lead a number of global digital initiatives. Meanwhile, replacing him as regional VP, Media will be David Porter. He is currently media director, North Asia based in Shanghai. Welde joined the consumer products giant in 1991, working across a variety of roles such as business manager – popular foods, regional commercial manager, sales and operations manager, media director – Unilever South Asia, general manager – Media Services HUL, and many others. He also joined the board of a media start-up, Ksubaka (former playTMN), an in-store interactive gaming and advertising company with operations in Singapore and China. A well-known face in the industry, he plays an active role in industry bodies and is the chairman emeritus for Mobile Marketing Association Asia and was the regional VP for the World Federation of Advertisers (WFA). In his last role as media lead, he was responsible for driving the media and communication agenda through a network of agencies and partners. He has played a pivotal role in driving digital in the region with key strategic partnerships in new media with global as well as Chinese corporations. A strong advocate of non-traditional thinking, a number of projects under his stewardship have received wide acclaim and recognition. KL's new branding: Not as "exciting" and "enticing" as it hopes to be? Carlsberg introduced yet another beverage, the new Somersby Apple Cider, and its Irish "creator", Lord Somersby at a launch last w..